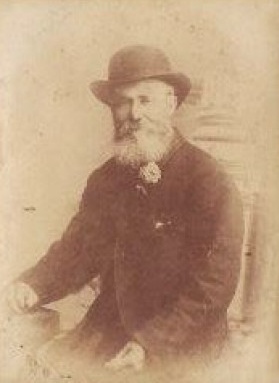 On 11 June 1836, my great great-grandfather, Richard Robins Warren, was born in Bristol, England but he would live a very full life in Australia. Richard’s parents were Thomas and Elizabeth (Barnett) Warren. Thomas could trace his roots back to Edwarde Warren in the 16th century Devon where his ancestors lived until Thomas moved the family to Bristol. Richard was born there and baptised in St. Mary Redcliffe church on 7 August 1836. Although the circumstances are not known, it is understood that Richard emigrated to Australia in 1852, arriving in Port Phillip on the ship Washington Irving at the age of 16 years. It is likely that he was attracted to our shores by the great Victorian gold rush as he is next discovered on the goldfields. Within six years, on 15 March 1858 at Sandhurst (renamed Bendigo in 1891), he married Ann Livingstone the daughter of James and Isabella (Clark) Livingstone. Ten months later, my grandmother Elizabeth was born, the first of their thirteen children. When he married he was a store keeper but within a year he was mining, registering a claim and working at it until at least the mid-1860s, after which he returned to farming. 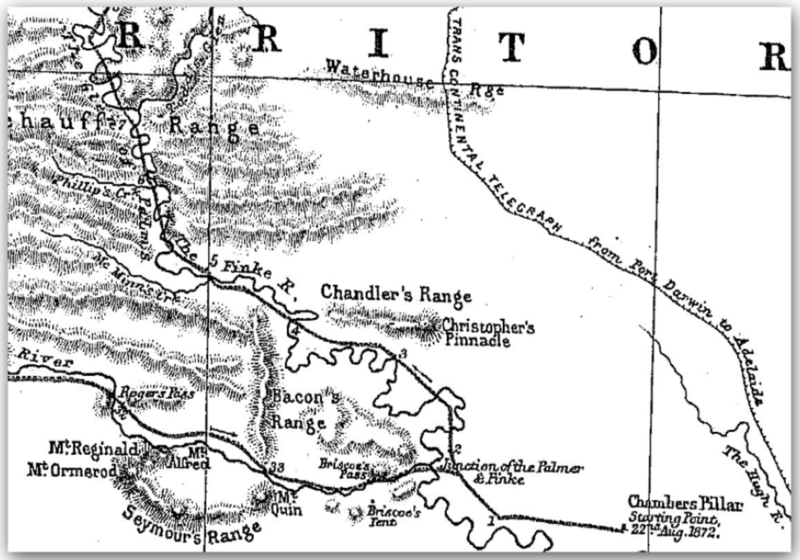 This was a period of some significant land ownership battles in Australian history. The Land Acts of the 1860s were aimed at breaking the control of the extensive land holdings held by squatters and which involved much of the usable land across Victoria. The battle raged between the wealthy, powerful squatters and those who advocated for small-scale agriculture and housing to anyone who could afford to buy it. It appears Richard was able to take advantage of these land ownership opportunities. By the time their fifth child James Duncan was born in 1873 he was farming in Marong not far from Sandhurst. A little later in 1877 we see in the Bendigo Advertiser that he was offering for lease a fenced 20 acre Marong property, “bordering on Bullock Creek” with a comfortable weather board cottage containing four rooms, detached kitchen, outbuildings and garden. He was moving to a larger selection, and the 1880 Government Gazette stated that he had been issued a new lease on a selection of 280 acres at Leaghur in Tatchera County located to the south of the Murray River, and to the south west of Swan Hill. He retained that property until 1887 as well as another selection (allotment 36 Leaghur of 169 acres), which he transferred to one George Wilkinson in 1891. By this time Richard and Ann now had a family of thirteen children of six girls and seven boys. Interestingly, Richard appears in a number of newspaper articles over time. One was in respect of his appearance at the Boort Police Court, when a Mr. J. MacDonald proceeded against him for illegally detaining a white heifer. It was claimed that the beast in question was the progeny of a cow belonging to MacDonald’s station at Leaghur. The Warrens claimed that the animal was hand-reared by them and although imperfectly branded, there was no doubt that it belonged to them. The police magistrate said the witnesses thoroughly believed what they had stated. He considered it a striking case of mistaken identity, and, although the decision of the bench might lead to further litigation, the case was dismissed. (Bendigo Advertiser, Fri 11 Jun 1886, page 3). Another episode occurred after disposing of his Leaghur selection when he seemingly became a boarding house keeper at Swan Hill. Later in 1891 there was a “A Disputed Debt” and at the Police Court. The Bendigo Fruitgrowers’ Cooperative Company sued R. R. Warren to recover the sum of £5 11s 10d, money due in payment for fruit delivered. The result was that the company finally admitted that a misunderstanding had arisen and some mistakes had occurred. The case was dismissed but with costs to the defendant, Warren. (Bendigo Advertiser, Fri 29 May 1891, page 4). Among his other activities, Richard was a long-term member and official of the Ovens and Murray United District of the Ancient Order of Foresters. The Ancient Order of Foresters, which originated in England in the mid-1700s, established its first branch (Court) in Victoria in 1849. It was set up as a non-profit organisation, the founding principles of the Society being to provide financial and social benefits as well as support to members and their families in times of unemployment, sickness, death, disability and old age. (ANU Archives). For a number of years about 1895, Brother R.R. Warren was the senior auditor of the Court and he was involved in many fund-raising functions for charities. Business failure in 1895 at Swan Hill, led to Richard being declared insolvent with liabilities of £54 16s 3d and assets of only £34 19s 6d (a deficiency, of £19 16s 9d). 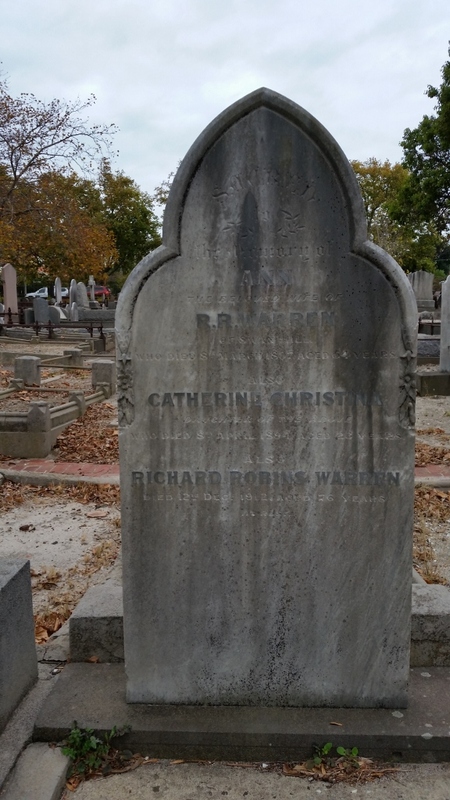 He apparently was forced to become a labourer but then in 1897 both his wife Ann and daughter Charlotte Christina died within a month of each other. They were buried in St. Kilda cemetery in Melbourne. Back in Swan Hill, by 1898 Richard had gained a position as a Government rabbit inspector (or destroyer). Rabbits had become a major problem for farmers in country areas of Victoria (and indeed Australia) multiplying to plague proportions following the release of a handful of animals decades earlier. He apparently worked at this in the Swan Hill area until at least 1903. As a retired civil servant and old age pensioner he moved to Melbourne living initially at 3 Bang Street, Prahran and finally at “Irene” Sycamore Grove, St. Kilda, where he died of senile debility and heart failure on 12 December 1912, aged 76. 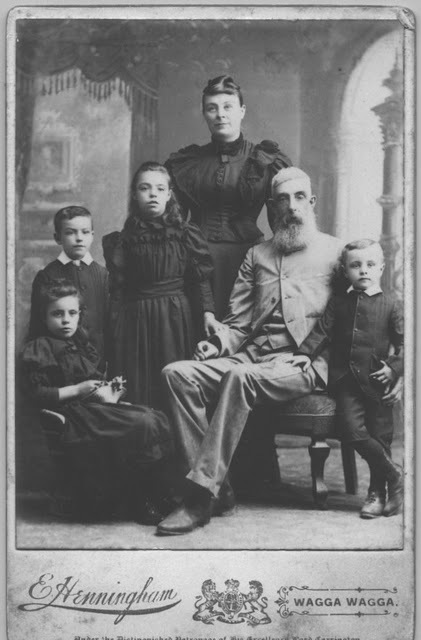 A family notice in the Melbourne Age described him as the beloved father of Mrs. Briscoe, and J. R. Warren, and Mrs. C. Johannesen, St. Kilda; Mrs. McCurdy and J. D. Warren, and Mrs. Long, Swan Hill, and R. R. Warren and W. A. Warren. 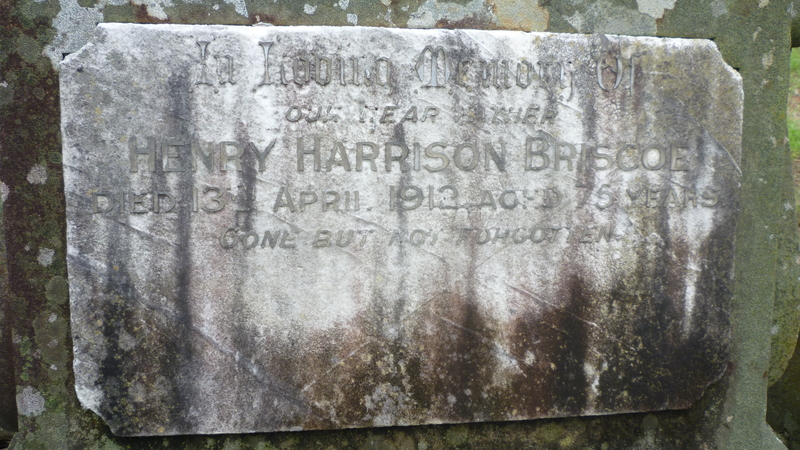 He was buried on 14 December 1912 at St. Kilda Cemetery with his wife and daughter. On 22 June in 1968, Alfred Ernest Cornelius Bray passed away at the Repatriation Hospital, Concord, NSW, Australia, aged 71 after serving in two world wars, being heavily involved in sport, and the RSL movement, starting up his own business while with his wife Belle raising two children. One or my regrets is that I didn’t get to know my grandfather better. Alf was born on 3 March in 1897 at Hurstville, NSW, the second child and eldest son of the eight children of Alfred Charles and Ellen Louisa (Cole) Bray. Growing up in Hurstville as a youngster he played rugby union but then converted to rugby league which became his passion. His father was a railway mail guard which probably enabled Alf to get a position as a clerk with the NSW Railways at Railway Yards. However in 1914, at the age of seventeen is father Alfred Charles Bray was one of fourteen people killed it the Exeter rail disaster (see my post if March 16, 2018). This caused considerable problems for his mother Ellen and her family. Alf was now the male head of the family but just over a year later at the age of just 18 years, in August 1915, he enlisted in the AIF answering the call of mother England to fight in World War 1. Sailing from Sydney in December and after training in Egypt he arrived in France in March 1916 part of A Company of the 3rd Battalion. He served in France and Belgium at the Somme, in Flanders and many other theatres until 22 June 1918 when at Strazelle he was caught in a German gas attack. He was seriously injured and after treatment in Boulogne, convalesced in England for a period before returning to his unit and final back to Australia in February 1919. Alf kept diary throughout the war years and it is now held by the NSW State Library. While in Flanders he bought a souvenir pewter broach of the coat of arms of Ypres and which he later gave to his wife. He returned home and lived with his family at Woids Avenue, Hurstville before marrying Clarice Belle Bryant on 16 October 1919 at Kogarah, took up his position of clerk in the Railways and a year later their daughter Norma Beryl was born. His war service entitled him to a War Service home and in early 1923 the family moved to their brand new home in Restwell Street Bankstown. The following year a son, Douglas Arthur was born. He also transferred to the railway sheds at nearby Punchbowl and under doctor’s orders walked to and from work to further help with recuperation from his gas-affected lung problems. At Restwell Street created a family home making maximum use of the back yard. He laid out paths separating garden beds where he grew vegetables and flowers. He built fish ponds, aviaries, and there was garage that he used as a workshop. Norma would recall how he would arrive home from work, have a cup of tea and then spend all evening until dinner in the back yard or garage. When I was only young we would enjoy visiting Nana and Pa and exploring the back yard with their silky terrier, Skippy. He encouraged and supported both children in sports with Norma taking up competitive diving while Doug raced bicycles. There were also plenty of family outings, a favourite being boating in his cabin launch on the Georges River. His own sporting activities had started when he played rugby union but in 1915. He soon transferred to rugby league with the Penshurst R.L.F.C. in the St, George Competition. After the war he took up the whistle, becoming a referee in 1923, and he officiated in the Canterbury-Bankstown Competition until 1933, and was the Hon. Secretary of Canterbury-Bankstown Referees’ Association in 1929. In 1936 he became Secretary of the Canterbury-Bankstown Junior League, and then on the Committee of the District Club when they won their first premiership in 1938. He replaced Frank Miller as Canterbury-Bankstown Club Secretary in 1939 until WWII intervened (refer The Rugby League News July 1, 1939). Alf’s war experiences also generated a deep interest in supporting his fellow war veterans. He was one of the instigators in the establishment of the Bankstown Sub-Branch of the Returned Sailors and Soldiers Imperial League of Australia (RSL) in October 1928 and was its first President. He remained in the role until 1933 and was a member of the State Executive of NSW in 1932-3. When a Women’s Auxiliary was also formed, Belle was its first Secretary. The RSL Club started at the top of Restwell Street in a tin shed near the railway line but meetings were also held on the Bray residence in Restwell Street with Belle baking cakes for supper. The RSL members assisted out-of-work men during the Depression. Working out of Alf’s garage, scrap pieces of timber from timber yards were made into toys for Christmas presents such as wheel barrows, school cases, chairs, etc. He again volunteered for service when World War 2 broke out, enlisting in July 1940 claiming he was born in December 1900 (giving him an age of 39 years instead of 43). . He served as a Temporary Warrant Officer training recruits at Dorrigo, Uralla and Armidale but was discharged “being medically unfit for further military service” in October 1944, no doubt as a result of his WW1 injuries. After the war he decided to pursue his passion for gardening and on resigning from the Railways he established Bray’s Bankstown Nursery which operated in the Bankstown CBD in Fetherstone Street for many years. Alf and Belle finally retired to Toukley on the Central Coast of NSW where they he enjoyed their last years together and he continued to propagate plants while his son Doug took over the nursery business. On his death he was cremated at Woronora Memorial Park and a plaque placed on the Wall of Remembrance in Row 16, Panel R.
At the occasion of the 70th anniversary of the Bankstown RSL in 1998, Alf’s service to the Club was also commemorated and a special certificate of appreciation presented to his daughter. Although he had lived a full life, my Pa still died too young surely shortened by his war experiences, and at the same age I am today. I share a common regret with many family historians, after having discovered some details about an ancestor that I didn’t have a chance to get to know my grandfather better.